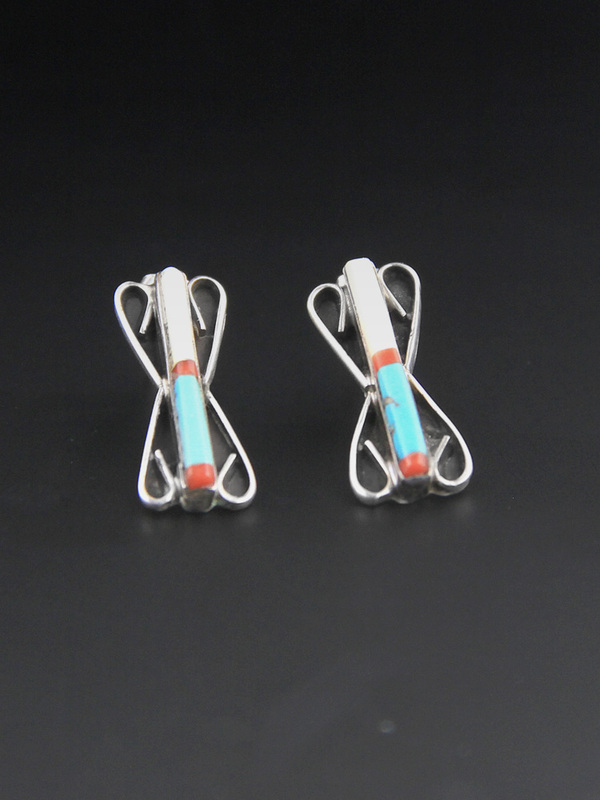 Gorgeous and delicate handcrafted Native American earrings. 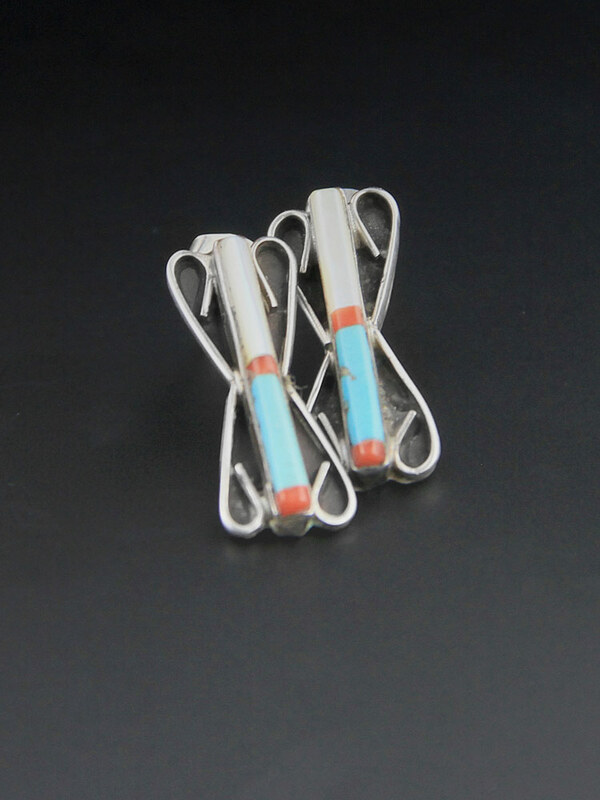 Zuni made, circa 1980 these are an elegant little earring of turquoise, coral and mother of pearl inlay. 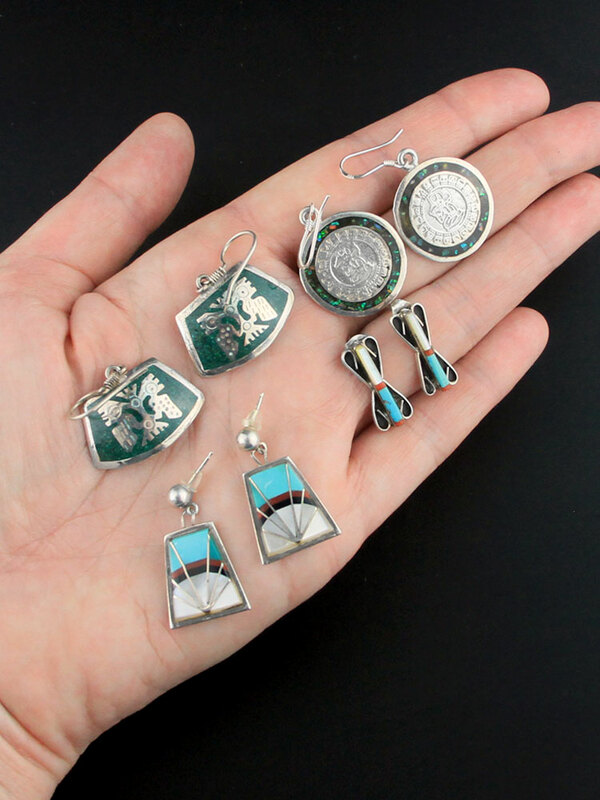 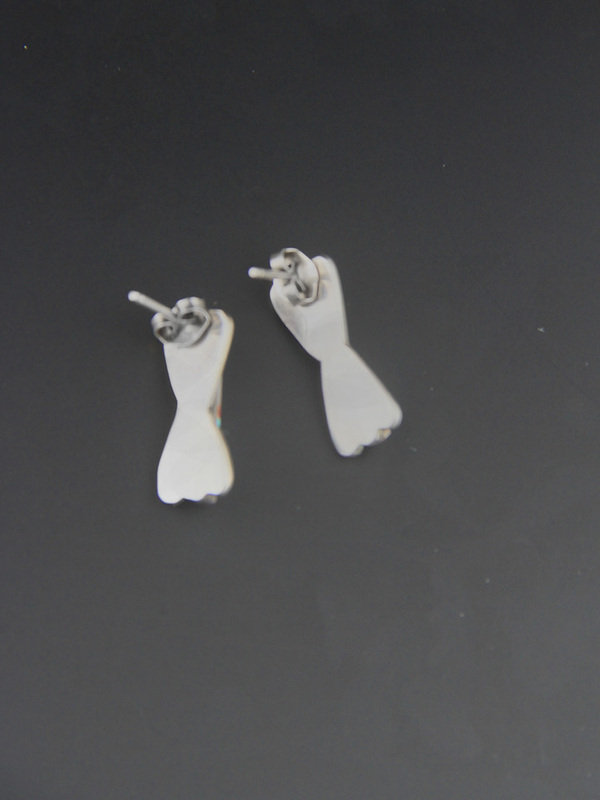 Nicely made, very delicate work, light and easy to wear - gorgeous and unique vintage Native American sterling silver earrings.